· Try to write 4 paragraphs – introduction, summary of main points, 2 detail paragraphs. · Before you start writing, highlight some key numbers. Choose the biggest number in each category in the table (i.e. in each column and row). If the table shows years, look for the biggest changes in numbers over the time period. You could also mention the smallest numbers, but you can ignore ‘middle’ numbers (neither biggest nor smallest). · For your summary paragraph, try to compare whole categories (columns or rows) rather than individual ‘cells’ in the table. If you can’t compare whole categories, compare the biggest and smallest number. Write 2 sentences for the summary. categories together, and lowest numbers together). · Describe / compare the numbers you highlighted – include at least 3 numbers in each paragraph. 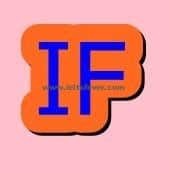 · Use the past simple for past years, and ‘will’ or ‘is expected/predicted to’ for future years. If no time is shown, use the present simple.